Callville Bay Marina boat rentals and jet ski services which is only 45 minutes from the Las Vegas Strip. This is the most developed marina at Lake Mead. 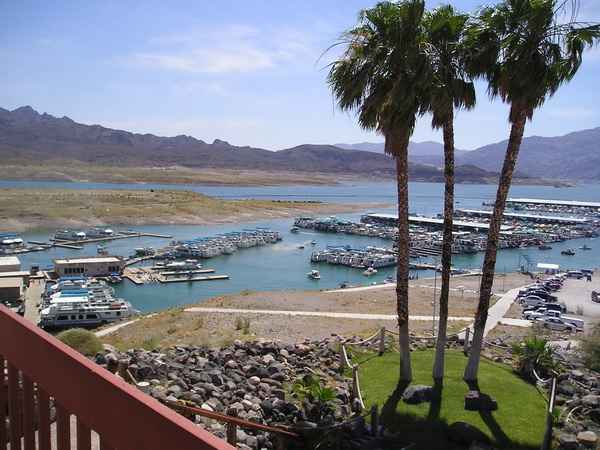 Callville Bay Resort and Marina is the perfect place to begin your luxury houseboat vacation on Lake Mead. The desert beauty of Lake Mead is breathtaking and wildlife lives in and around Lake Mead with big horn sheep, wild burro, and some of the best striper fishing in the west. This is a great boating marina for just a day on the lake if your working or playing in Las Vegas. Callville Bay Marina Boat Rentals is the largest inland marinas at Lake Mead, Callville Bay Marina has over 600 slips, luxurious house boat rentals, jet ski rentals, guide tours to Hoover Dam or other areas on the lake, water sport charters, wakeboard lessons, waverunners, sea doo, PWC personal watercraft rentals, snack bar, gift store, and the Fountain Site Lounge bar and restaurant overlooking the Bay. The water levels are low at this marina so make sure you bring a four wheel drive vehicle if you bring your own boat. 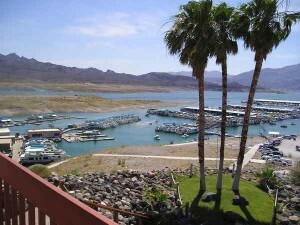 The Callville Bay Marina is the closest marina to Las Vegas, and the most used.